This U.S.-based company provides continuing education coursework, materials, and tools to help teachers at all levels succeed in the classroom. Its curriculum includes 100+ graduate-level courses that have helped tens of thousands of teachers, from all 50 states, advance their careers. As with most notable products on the market today, the true value can be reflected in the percentage of new customers that come through referrals. 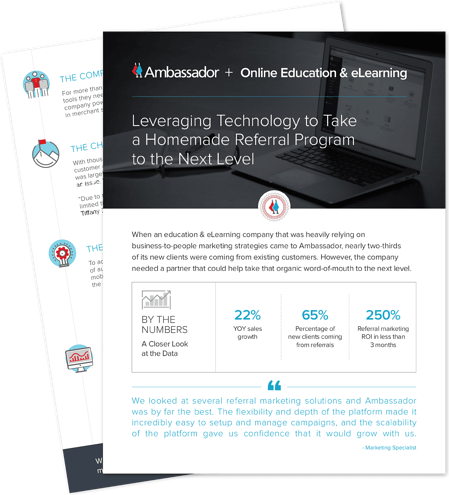 This was definitely the case for this education and eLearning company receiving 64% of their new customers from referral marketing. The challenge the company faced was finding a way to truly capitalize on that word-of-mouth at scale.